That means I grew up in the 60’s and 70’s and I was a blue jean babe…loved them and still do. Big loose sweater or sweatshirt and I’m in heaven…well almost. tattered, holes with material behind the rips, frayed, acid washed and other eclectic embellishments. They were not EVEN my size…for real! They were in the junior section and lets just say they were at the TOP of the size chart in the juniors 🙂 I will not divulge my size as I do have maybe an ounce of vanity left in me. I did wear them a few times in my thinner season of life… you can compare my thinner seasons to the winters in Texas, short and hardly memorable. Of course I loved this pair of blue jeans so much that I kept them in my closet all this time. Still have them, still love them, still can’t wear them… wait! Yes I can. I’ll get to that in a minute. I had this thought…as many of us creative types do. You know how these thoughts begin, they might come to you in the middle of the night, you might have enough forethought to wake up and write it down or you may have enough memory to recall your sleep induced epiphanies. I do remember, but I did write it down and then I begin to chew on this idea, I will frequently tuck it away in the back of my mind and let in resurface once and awhile. I feel this is my way a preparing myself for the intended project. I have to mull it over and over until one day it drives me to the brink of insanity and I pull everything together right as I am about to tackle another major event. I work best under pressure! that’s it in a nutshell…ugly as it is, it works every time. My idea this time was to make my wonderful pair of blue jeans into a skirt. Nothing new here…it’s been done over and over again. Seen it a million times…but mine…oh mine was going to be better. Yes my idea was growing and beginning to take form, I just had to work out the little details; like the dis assembly of the seams. It was destructive and that my friends if one of my favorite activities. Taking something apart. Anything. But this time it was my blue jeans. With ripper in hand I set about removing the stitches from the inseam and then the hem, everything else was left in tact. My plan was simple, remove the seams and sew a panel of fabric in the front and back openings. But my insanity only increased as I festered over what type of material to use. My brain is like a slide show of every piece of material I own. I replayed it over and over again and then it stop on that one piece of fabric that I have had (again) for a very long time. I buy remnants just for this occasion…do you? gahhhhh! I must be crazy because I have material but I don’t know why…I can’t remember if I ever even intended to use this amazing Toile fabric, but I had it and by gosh I was going to use it now. I probably though it would make a pretty pillow or chair seat cover. I went to find the fabric and when I did, I ran back to where my dismantled jeans lay and I through it on top of the jeans. Oh my, I gasp…I was a match made in heaven or at least right here on my kitchen table. Okay so…I was packed and ready to leave for Kerrville for 4 days, my grandsons 6th birthday…and I wanted to wear my new idea…so…sew! Like an fevered idiot I threw this skirt together and I have to say…that turned out AWESOME! Get this…as a skirt it makes my badonkadonk look smaller! So now there is no question of whether I can fit in my blue jeans because now they fit me just fine. You see these blue jeans where low rise but now they can fit just so around my waist because there is no legs to worry about getting my lil fluffy thighs in…ain’t life grand? Oldest daughter loves my skirt and wants one too…ahhhh! a) find and love the jeans b) rip away (note: I preferred to keep the finished look on the seams so I ripped out the threads and left the finished edge in tact the sewed over the seam for smoother lines) you will need to rip seam all the way up almost to the zipper to get the seam flat for sewing you will see this better in the back c) find a great piece of coordinating fabric…go wild it’s your design d) the back seams look darker due to the way the jeans were put together (notice the area that has to be laid over for the material to flatten out? this is accomplished by ripping the seam further up the back until you can overlap the material for a smooth flat finish) e) I left the hem undone for the frayed look, on the material I basted all the way across to keep the material from raveling out. f) there are no real instructions for this tutorial…just use your imagination and have fun with it! I think this needs to be continued because I did make one for her while she was just here visiting and of course it was under pressure and when I finished just in the nick of time…we all had to rush out the door to go to church. I didn’t get pictures...OH MY GOSH! What was I thinking? I have put in my request for my daughter who live 5 hours south of me to take some pictures of her amazing blue jean “maternity” skirt. Does this classify as an Recycle project or and Upcycled? What’s the difference? Got some ideas on what to do with those blue jeans you just can’t give up? You need a handbag…..maybe I should make you one…..smiles. GAHH! I can’t even begin to tell you how crazy life is right now. I promise I will TRY TRY TRY to get that picture. 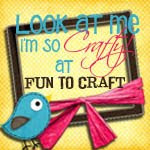 Thanks for linking up to my Making It With Allie party! I too love bluejeans. Can’t hardly get me in anything else!